Entering, saving time record using time entry day view. (Submit button is only available in period view). Entering, saving, and submitting time record using time entry period view (generally its a Week View). 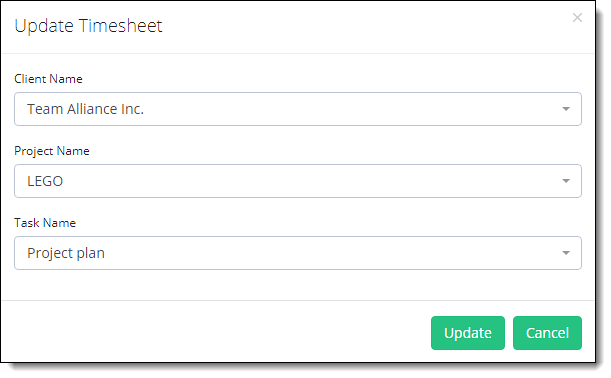 Billing detail can be generated after submitting of the timesheet. 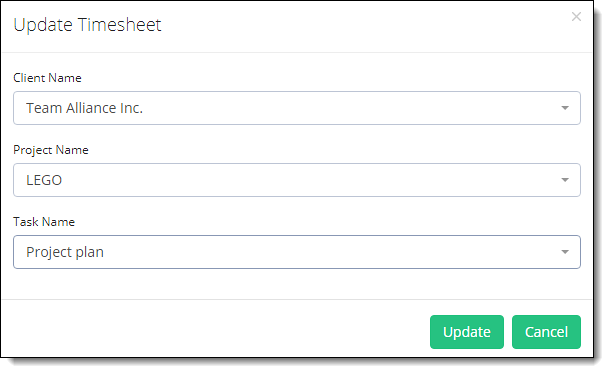 TimeLive provides two timesheet formats for entering time entry record in TimeLive. Entering hours in Timesheet for the first time. Click on the Edit Icon on the left of the screen. Select Client, Project, Task from the drop-down. Enter the Total Time (Start/End Time if enabled from Preferences) and the description (optional). Click + Add Time Item Row if required for more hours to enter. Click + Add Time Off Row if required for Time Off hours to enter. Click Save button on the top. Click Submit button on the top to save the Timesheet and submit it for the approval process. Click on the Start Timer button. Select the Date, Client*(if enabled from *Admin Options > Preferences) Project, Task. 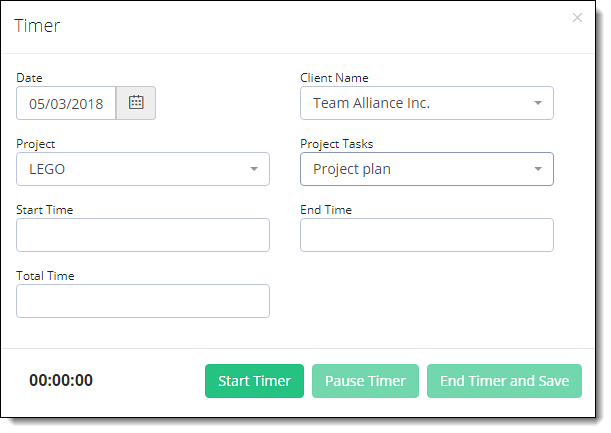 Click End Timer when you are done with the task and want to save the worked hours.